This is a Life Healing Game for 2 to 6 players. 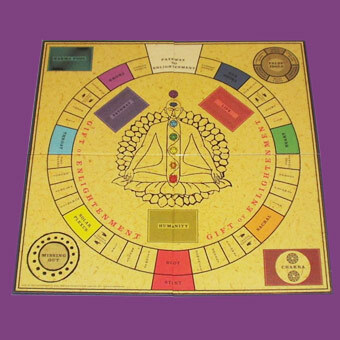 Friends and families will be delighted by its fun game play and healing messages. 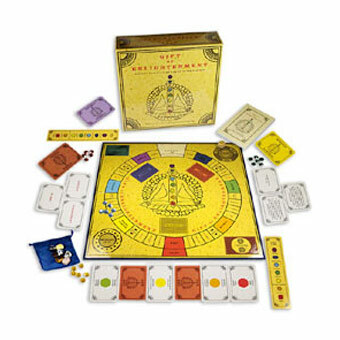 Gift of Enlightenment is a unique and totally original board game that brings a flow of positive energy to all who discover it. This is one adventure that is guaranteed to stay in the mind long after the final dice has been thrown. Win and lose positive and negative human traits along the way. Harness the energy around you. It can help you to reach the ultimate goal. How powerful are your Sixth Sense, Insight, and Intuition? 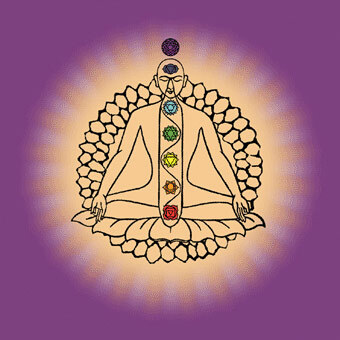 Here's your chance to find out as you seek to master the 'Seven Chakra Challenges'. Collect the Seven Chakra Crystals that can help you to open the wonderful 'Book of Enlightenment'. Delve into the mysterious Karma Pool. Try to avoid falling for False Idols. Gain a personal gift from the 'Book of Enlightenment'. Plus the 82 page 'Book of Enlightenment'. 'Gift of Enlightenment' has been developed by husband and wife team David and Annette Martin, co-Directors of Veritas Productions. Annette is a fine artist and Karuna Reiki Master, while David's background is as a former Director in the computer and video games industry, a business he left in 2002 saddened by the increasing negativity inherent in a large number of so called 'games'. Both felt there was a need for something that redressed the balance and gave to the world a game that was positive and life enhancing, while still being great fun to play. 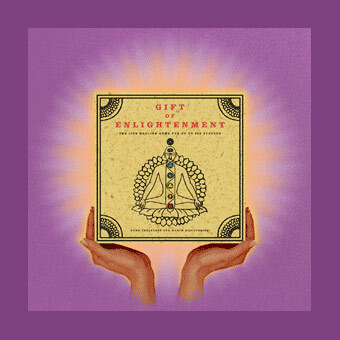 Gift of Enlightenment awarded Highly Commended Finalist at the prestigious Gift of the Year 2005 Awards. A game that’s more than just a game - a life changing experience - Phenomenal. A blueprint for future games, intriguingly good fun. Uncomplicatedly perplexing. A thought provoking game that a player actively participates in at all times. Where one's spiritual thoughts can sometimes lead another player to make the right decisions. I enjoyed every minute of it and loved my winning messages. This is a game that makes you change your life. Director of a mental health charity, Brighton. The people you play this game with will know you better than you know yourself. My winning message really spoke to me. It’s much more than a game-it’s a Quest and after a while it dawns on you that you’re playing not just with other players but with angels as well. Forget skill and luck and just go with the flow! I made decisions by trusting my own thoughts and intuition. Once you play the game you want to exercise these skills again and again. A game with a tremendous difference. Refreshingly enjoyable game to play where extraordinary things happen. The first in fact where I didn’t mind losing. A beautiful game to play. So much thought has gone in to providing depth and insight for those who are already on their journey, and enlightenment for those who are just beginning. Our Bristol Reiki groups found Gift of Enlightenment fun and thought provoking.